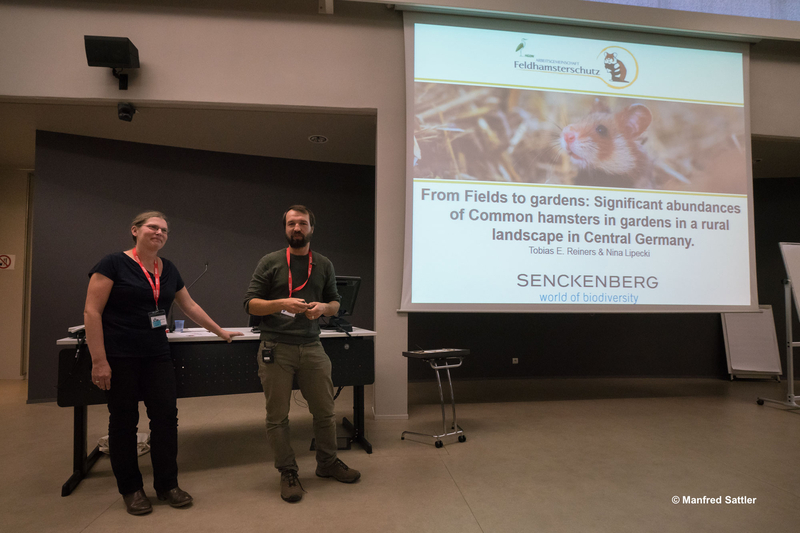 From 4 to 6 October, the French National Scientific Research Centre (CNRS) and the French National Hunting and Wildlife Agency (ONCFS) welcomed 77 attendees to the 25th international conference on the European hamster. A number of countries were represented at the conference, including Germany, the Netherlands, Belgium, Austria, the Czech Republic, Russia, and even Canada! 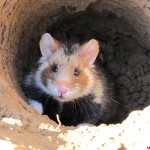 Talks were divided into six sessions: ‘Hibernation and reproduction’, ‘Farmland habitat’, ‘Methods for monitoring hamsters in the wild’, ‘Population dynamics, demography and ecology’, ‘Hamsters in (sub)urban areas’ and ‘Population reinforcement’. 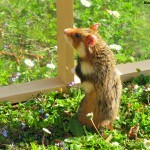 The last day of the conference took place in Naturoparc, which has been breeding hamsters to boost population numbers since 2017. The event was later brought to a close in Blaesheim in the presence of the mayor and a farmer from the village who gave a presentation on the status of the hamster measures in place within their municipality and the collective management of crop rotation. 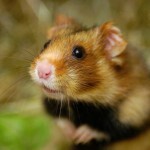 As is the case every year with the international hamster conference, the event provided plenty of opportunity for fruitful discussions and some surprises. 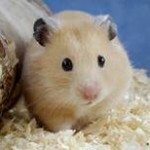 The Russian team showed photos of hamsters in trees and others living at an altitude of over 1,400 metres! The new German programme ‘Hamsterland’ has even proposed positioning camera traps in peoples’ gardens to observe the hamsters living there. 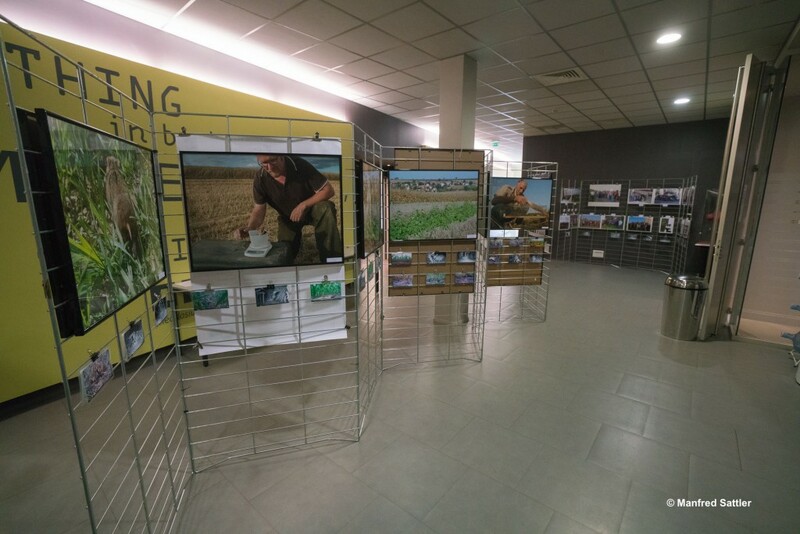 To mark the 25th anniversary of the event, group photos taken every year since the very first conference were exhibited, and a display was set up to show images taken in the various countries where the species can be found. Ulrich Weinhold, founder of the international conference, had the honour of blowing out the candles on a hamster-shaped anniversary cake! The next conference is set to take place from 18 to 20 October 2019 in the Netherlands. 2020 will be Poland’s year to host the event.